55. כָּתוּב (מלכים-א ג) נִרְאָה ה’ אֶל שְׁלֹמֹה בַּחֲלוֹם הַלָּיְלָה וַיֹּאמֶר אֱלֹהִים שְׁאַל מָה אֶתֶּן לָךְ. וְאִם תֹּאמַר, כָּאן בַּחֲלוֹם, וְכִי אֵיזוֹ רְשׁוּת יֵשׁ לַחֲלוֹם בָּזֶה? אֶלָּא כָּאן נִכְלֶלֶת דַּרְגָּה בְּדַרְגָּה, הַדַּרְגָּה הָעֶלְיוֹנָה עִם הַדַּרְגָּה הַתַּחְתּוֹנָה. מִשּׁוּם שֶׁעַד עַכְשָׁו שְׁלֹמֹה לֹא הָיָה שָׁלֵם. כֵּיוָן שֶׁנִּשְׁלַם, כָּתוּב (שם ה) וַה’ נָתַן חָכְמָה לִשְׁלֹמֹה, וְכָתוּב (שם) וַתֵּרֶב חָכְמַת שְׁלֹמֹה. שֶׁעָמְדָה הַלְּבָנָה בִּשְׁלֵמוּתָהּ, וּבֵית הַמִּקְדָּשׁ נִבְנָה, וְאָז הָיָה רוֹאֶה שְׁלֹמֹה אֶת הַחָכְמָה עַיִן בְּעַיִן, וְלֹא הִצְטָרֵךְ לַחֲלוֹם. 56. אַחַר שֶׁחָטָא, הִצְטָרֵךְ לַחֲלוֹם כְּבָרִאשׁוֹנָה, וְעַל כֵּן כָּתוּב (שם יא) הַנִּרְאָה אֵלָיו פַּעֲמָיִם. וְכִי פַּעֲמַיִם הָיָה וְלֹא יוֹתֵר? אֶלָּא צַד הַחֲלוֹם הָיָה לוֹ פַּעֲמַיִם, וְצַד הַחָכְמָה הָיָה בְּכָל יוֹם. After king Solomon became a king after his father passed away, he went to the Holy Tabernacle and brought thousand burnt offerings to God. (equal 10x10x10 for complete connection to the Tree of Life). At the same night God (אלהים, ELHYM) revealed himself to him in a dream. God offered to grant his wishes. The Zohar explains that God (ELHYM) is the aspect of the Left column. The dream is revealed by the angel Gabriel as previously explained (DZ 2591). The dream message from Binah connects and get ‘dressed’ in Gabriel so it can go down the levels to King Solomon. Solomon wasn’t ready at that time to have direct connection with YHVH. When King Solomon achieved his higher level, YHVH fulfilled the promise of the dream. Solomon ask for wisdom to lead the people and YHVH gave it to him. He built the Holy Temple and from that point he didn’t need connections through dreams because he was able to connect to the higher wisdom and see it eye to eye. Later in his life, King Solomon sinned and God revealed to him second time in a dream. King Solomon had many revelations of God and when the verse says ‘appeared to him twice’ it is related only to appearance in dreams, not the other ways. The Zohar discusses the aspect of revelations through dreams but there are few great lessons to learn from this story. The first point is that even as a new king, Solomon made priority to connect to God through the Holy Tabernacle. He brought thousand burnt offerings to establish maximum connection to the tree of Life. Because he opened a great channel, God revealed to him immediately ready to grant Solomon’s wishes. If we had a similar option to ask for what we want then most of us would ask for things related to this world, mostly around money, health and relationships. The world is too dark and corrupt for us to expect God revealing himself to us and grant our wishes. We can achieve connection to the higher wisdom by using the study of Torah through the Zohar and other kabbalistic teachings that are based on the Zohar like the Holy Ari, Rabbi Ashlag and others. With elevated wisdom we are able to see the truth around us and our lives become clearer and better. If we achieve correction and purity we may even merit abundance in the material world. It’s all depend on the type of channels of light that we opened in our lives. Another important lesson is to know that even when we achieve greater understanding of the wisdom, the negative-side would always be waiting for us to trip us and move us to a wrong path. King Solomon married many women, mostly to establish good and peaceful diplomatic relationships. That is where is failed because some of the women were idol worshipping and he built for them places of worship. When we feel strong spiritually this is the time that we need to be very careful about our behaviour. We should stay humble and follow pure routines to avoid the traps of the other side. 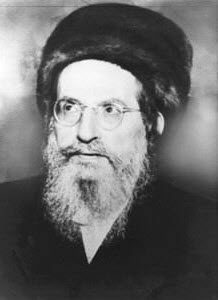 Many great rabbi fell to the temptations of women, fame and money. Many of you heard at least of one or two of such stories. Even if you have a crown on your head, you can never be a king or at least don’t behave as a king!